The Z45 GEN:2 is available in canopy or cab configurations, allowing you to tailor the machine to meet your specific work environment. Large cab offers state-of-the-art controls, digital display and excellent visibility. Walk-through canopy for easy entry and exit. Optional cab enclosure with heat or heat/air-conditioning system provides protection in extreme weather conditions. Adjustable suspension seat and armrests provide personalized comfort. Excellent visibility in all directions allows safe and efficient operation. Rear mirror provides a view of the back and side of the machine for additional safety. Work lights and integrated boom light enhances the operator’s view after dark. 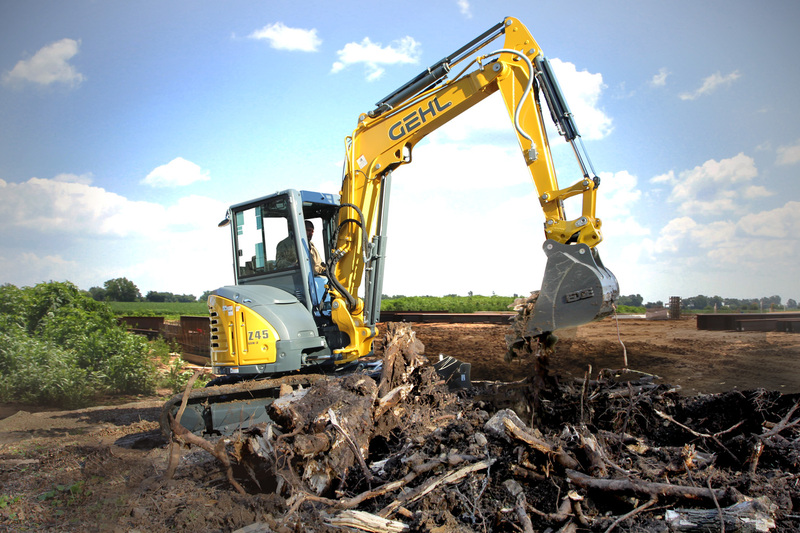 The controls on the Z45 GEN:2 compact excavator are ergonomically designed and easy to use. Digital Operator Interface shows real time system information, service reminders, and 90 days of operating history. Large travelling pedals are easy to press and allow confident, reliable work. Pilot operated joystick controls are operated by simple wrist movements, reducing fatigue during a long workday. One-way auxiliary functions can be controlled by a foot pedal or joystick buttons, allowing optimal control of high-flow attachments such as compactors or breakers. The operator can easily select from ISO or standard operating control patterns with the flip of a mechanical lever. Rugged, high-strength boom incorporates features to protect and extend the life of moving parts and components. Precision welded boom is constructed with thick side plates that are reinforced by contoured transition plates. Heavy-duty sliding cylinder guards protect exposed cylinder rods from damage. Integrated boom light illuminates the work area and allows for safe and effective operation after dark. Reliable single pin boom mount design for optimal durability and component life. 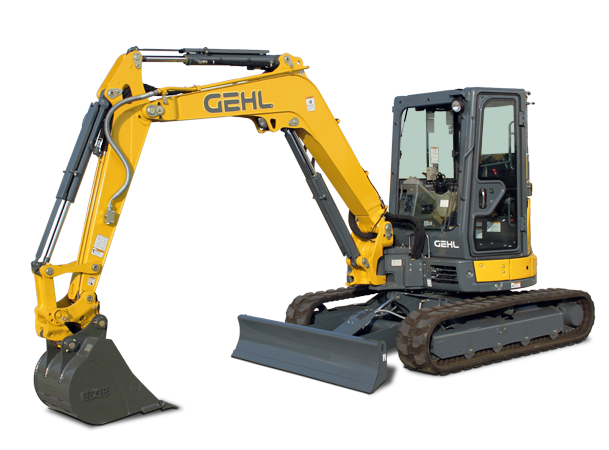 The undercarriage of the Z45 GEN:2 compact excavator was designed with serviceability and longevity in mind. Wide track gauge and an offset track drive system increase stability without adding to overall track width. Staggered tread and mandrel design combined with shorter track pitch reduces vibration. Long tracks provide a smoother ride over rough terrain. Tracks are short-pitched to reduce wear, fatigue and damage. Angled crawler frame reduces soil buildup on the undercarriage, extending the life of rollers and tracks. 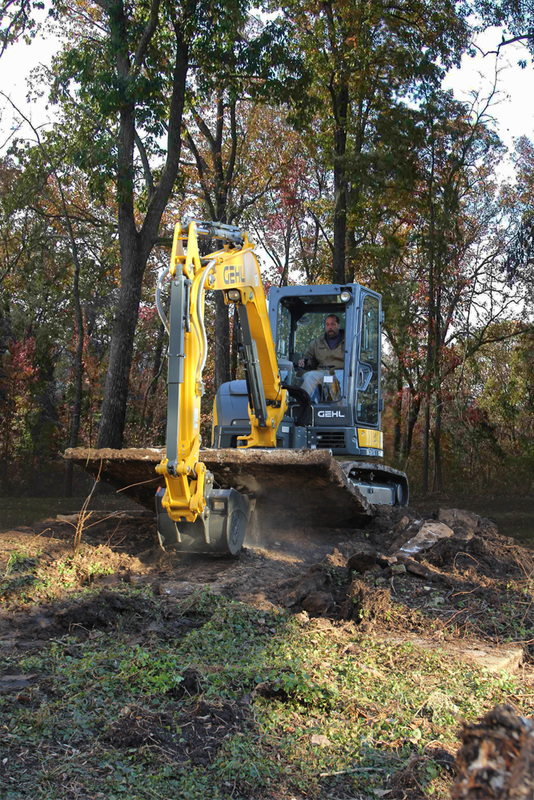 The Z45 GEN:2 compact excavator is built around a powerful, reliable emission-certified Tier IV Yanmar diesel engine. Yanmar Tier IV certified diesel engine with 37.7 hp provides excellent balance in power and fuel conservation. ECO Mode can be activated from the cab with a switch. When activated, the engine speed is reduced by 10%, reducing fuel consumption for lowered operating costs. Auto Deceleration lowers noise and emissions levels when the hydraulic movement has not occurred for more than four seconds. This increases fuel economy and lowers operating costs. Proven technology provides reliable operation and a fuel efficient system. 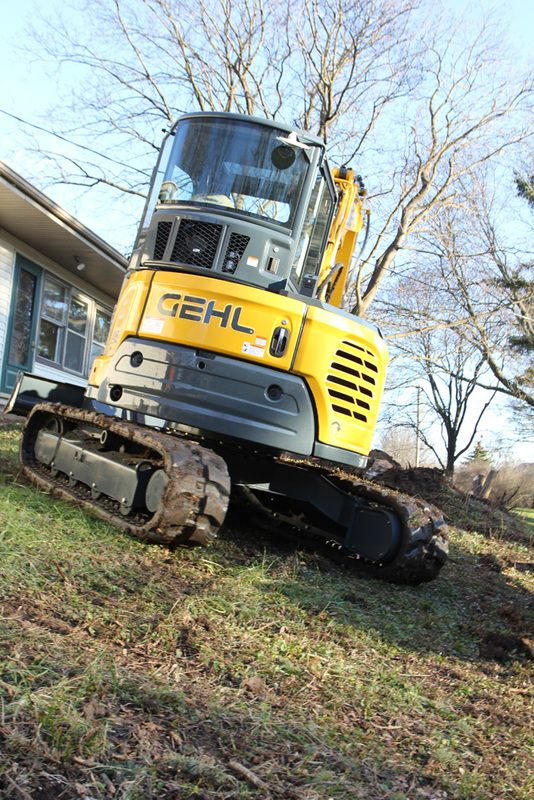 Easy-starting, even in cold weather without the need for block heaters or starting fluid. The advanced hydraulic system on the Z45 GEN:2 provides long-lasting, efficient power precisely when you need it. Standard auxiliary proportional hydraulics give the operator infinitely variable control of the hydraulic flow. Hydraulic system is designed to enhance engine performance, resulting in a more efficient system. Two variable pumps and two gear pumps combine oil and redirect the flow to where it is needed, allowing for simultaneous operation without loss of power. Smooth operation, even while using the boom and arm during turning. Auxiliary hydraulic valve, tubing and hoses with flat faced coupler connections are standard equipment. Two-way and one-way auxiliary flow valve with direct-to-tank bypass valve feature is standard equipment. A full line of Edge attachments and accessories are designed specifically to fill operators’ needs, making their Z45 GEN:2 the most versatile machine on the job site. Two large, rear doors open easily to expose the battery, engine oil, air filter and cooling system. Remove the right-hand step to reveal the hose joint at the front of the frame. The right-hand side cover is easily removed with just two bolts. Remove the top right hand side to easily clean behind the radiator. A cover on top of the unit on the right side allows access to the fuel supply and a handy tool storage tray. The access panel beneath the operator’s seat easily opens to reveal the starter motor, fuse panel, alternator and fan belt. Operating Weight with Canopy 10,417 lbs. Operating Weight with Cab 10,814 lbs. Maximum Drawbar Pull 10,611 lbs. Maximum Bucket Breakout 6,497 lbs. Maximum Arm Digging Force 4,676 lbs.